Disclaimer: This post was made possible by Octoly and lip color provided for free by ColourPop. Everything else is 100% me. 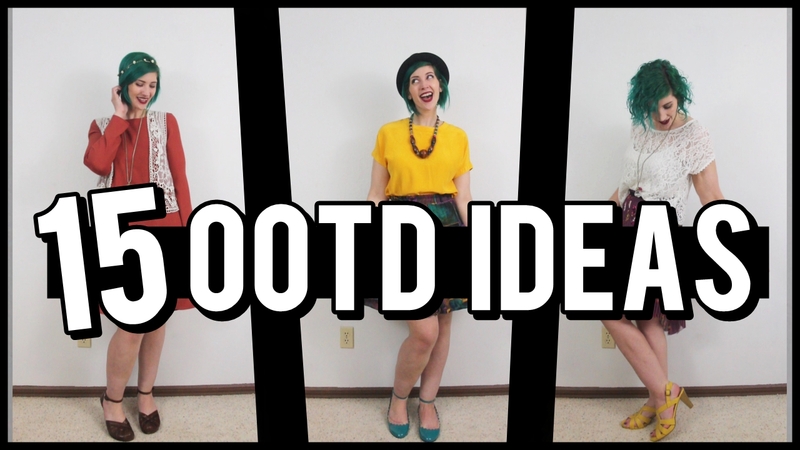 I am so stoked to be bringing you guys yet another video look book on the cusp of my thrifted look book. This time, ColourPop was kind enough to send me a bright orange tube of the color Tarot. Not gonna lie, it’s an intimidating color! But I was excited for a challenge of seeing what I could wear with it. I’m not a beauty guru by any stretch of the imagination but I have fun experimenting with my makeup.I think the perfect lip color can really pull your outfit together. Sometimes I’m not complete with a swipe of my signature red! 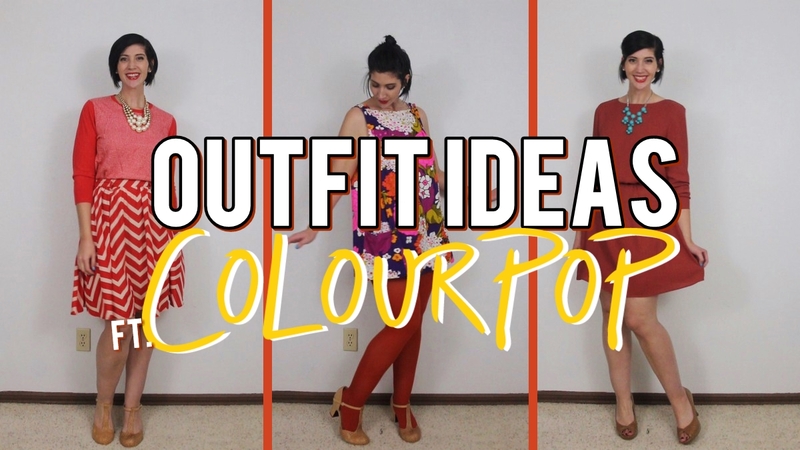 To come up with my outfits, I broke out a color wheel and put together my looks using science! So not only will you get some major inspo, but you’ll also learn a thing or two along the way. Cool, right? Isn’t it amazing what one color can do? Let me know in the comments which outfit(s) was your favorite and tell me which lip color you’d love to see next. 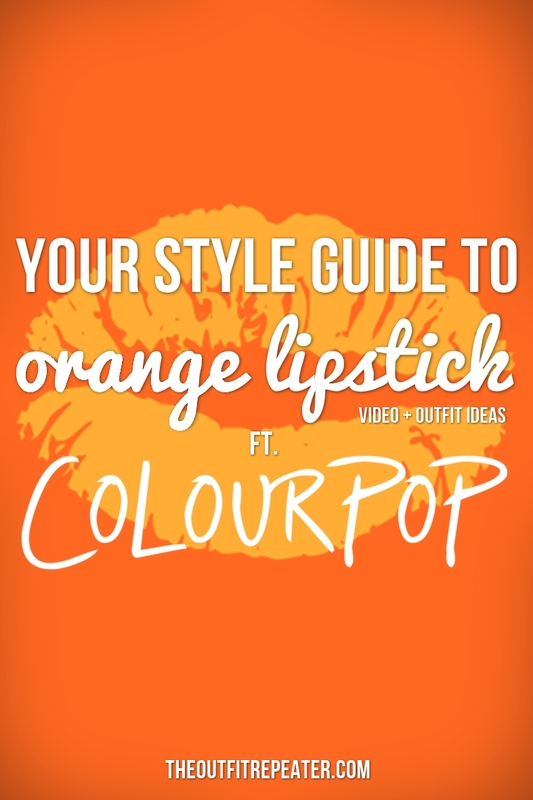 Want more inspiration of what to wear with your lipstick? 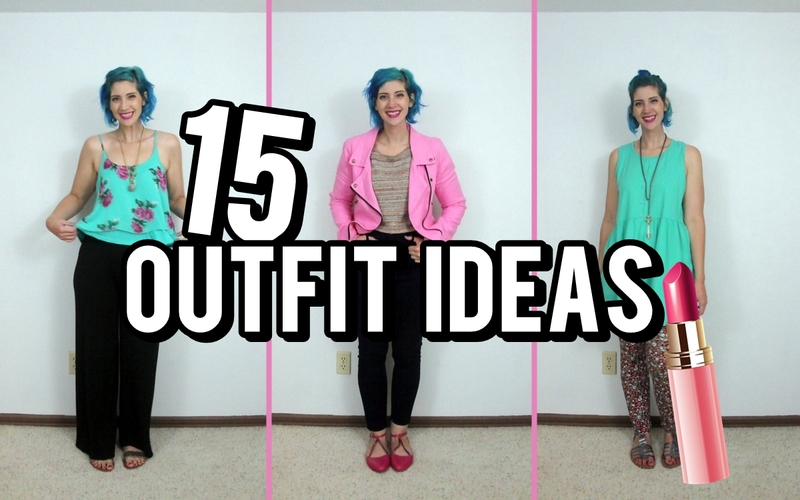 Click these images for outfits featuring dark lipstick and pink lipstick.